Rab NDLED® Collection Low profile new construction LED downlight trim module has voltage ranging from 120 to 277-Volts. The 12/20-Watt lamp outputs 1260/1690-Lumen light with a color temperature of 3500K. The dimmable downlight in warm neutral color, has professional grade die-cast aluminum construction and white cone and trim ring finish for durability. It has 4-Inch trim and average life of 100000 Hours. 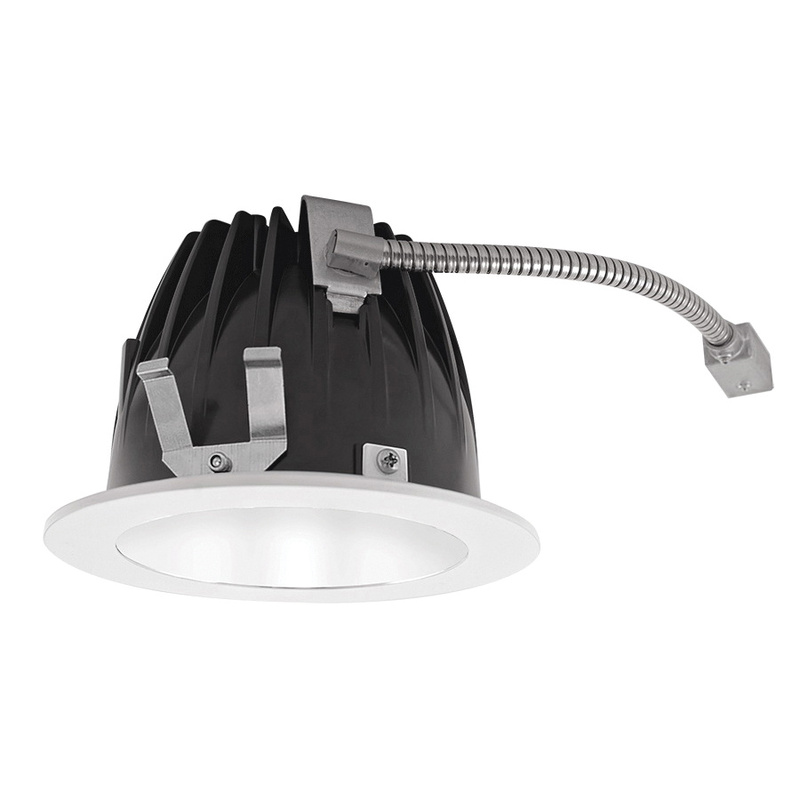 The round downlight with 0 to 10-Volts at 120 to 277-Volts, triac and ELV at 120-Volt dimming driver, is ceiling mountable. The butterfly bracket permits mounting with bar stock, C channel, 1/2-Inch conduit or nailer bars. The low-profile design permits for installation in ceilings with limited space. The nanostructure lens avoids hot spots providing smooth and efficient light. It is perfect for wet locations covered ceiling. The downlight meets UL and Energy Star 2.0 standards.